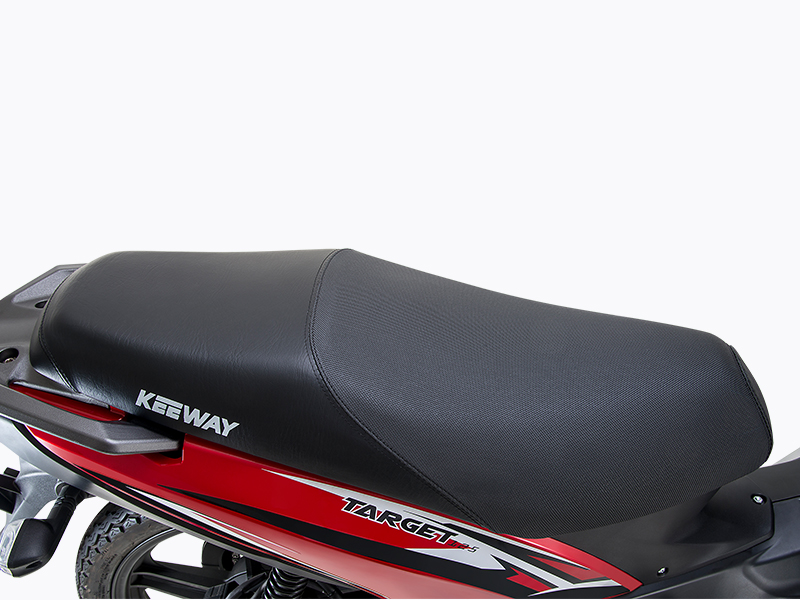 Target 125 - Keeway Q.J. 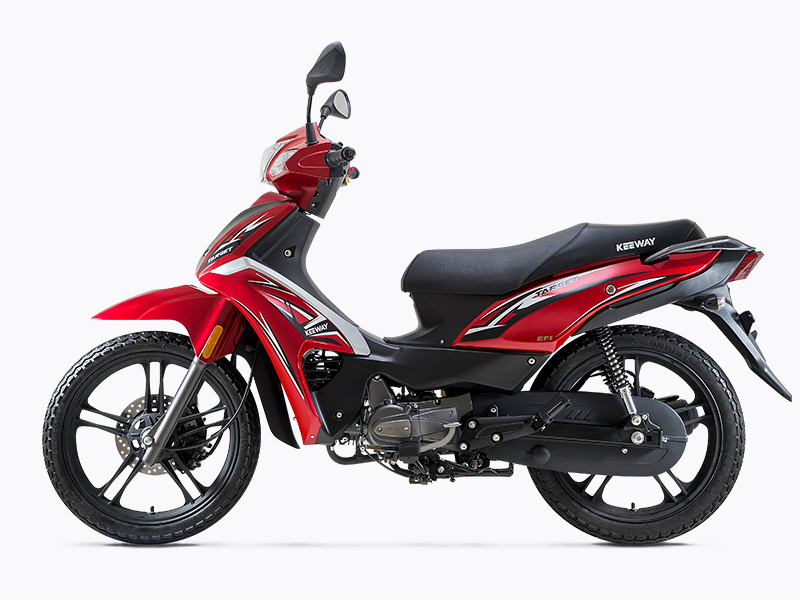 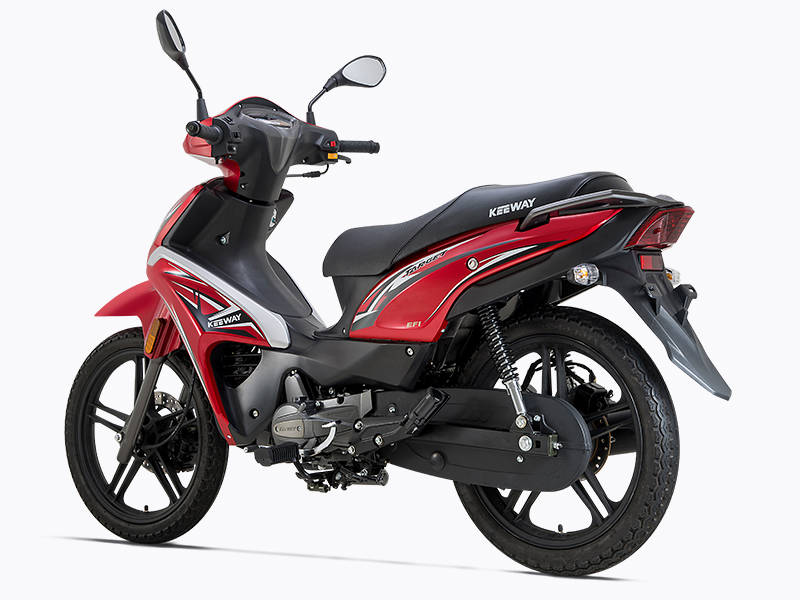 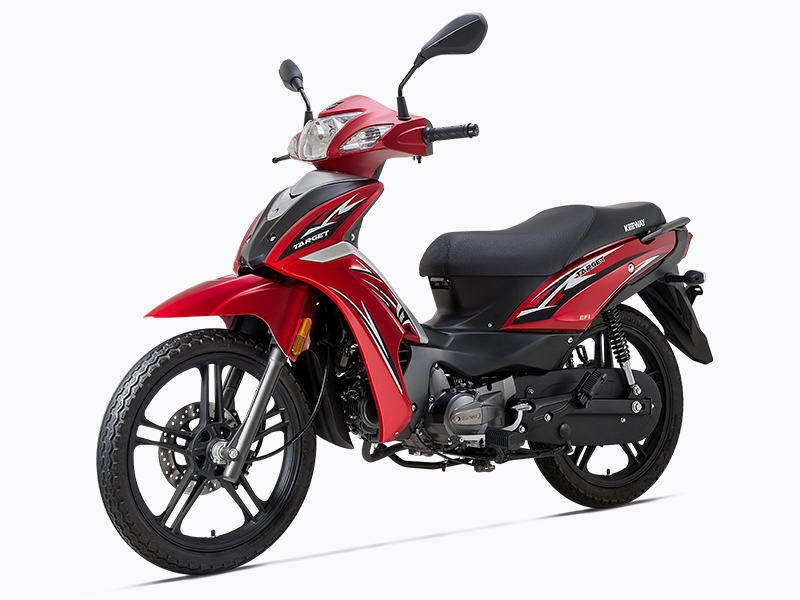 Move instantly to the top of the 125cc Cub class on Keeway’s sporty Target 125. 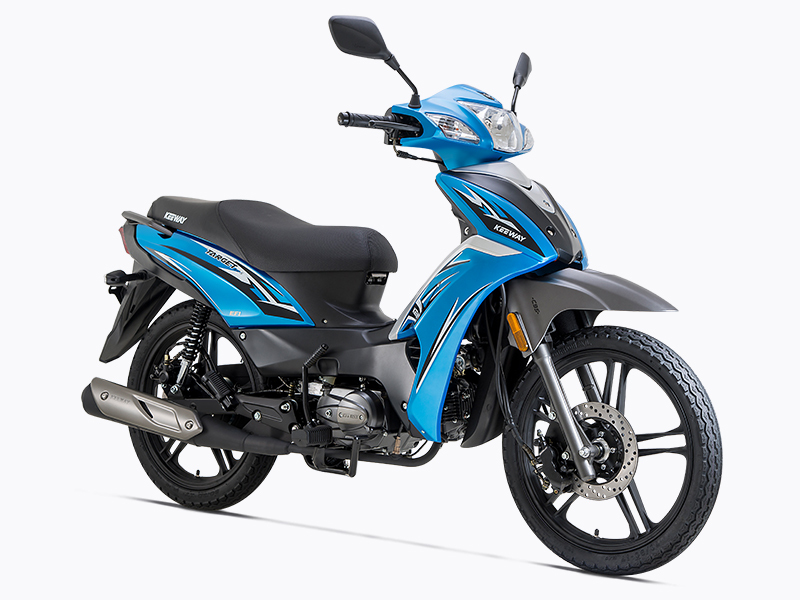 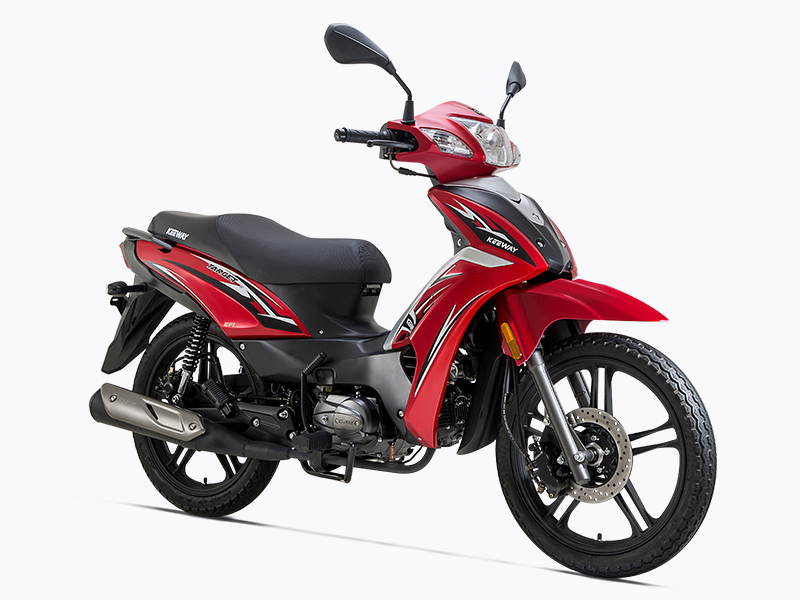 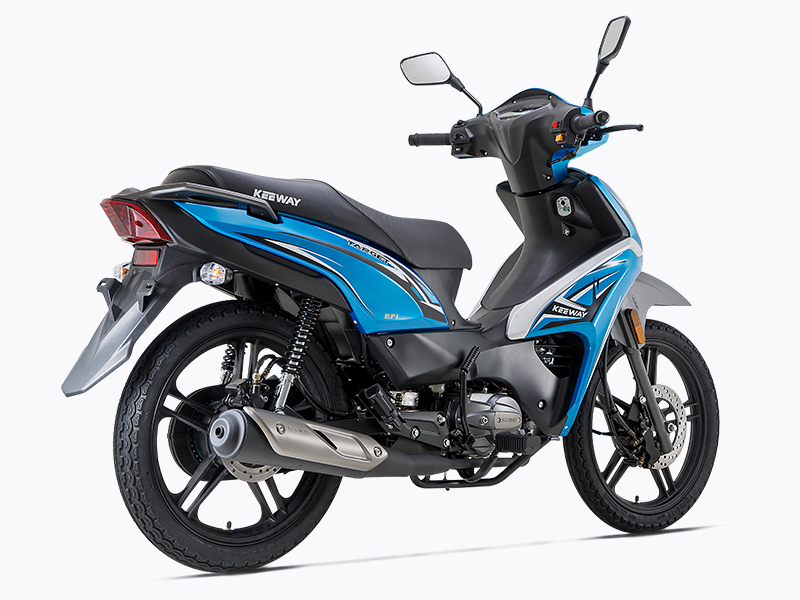 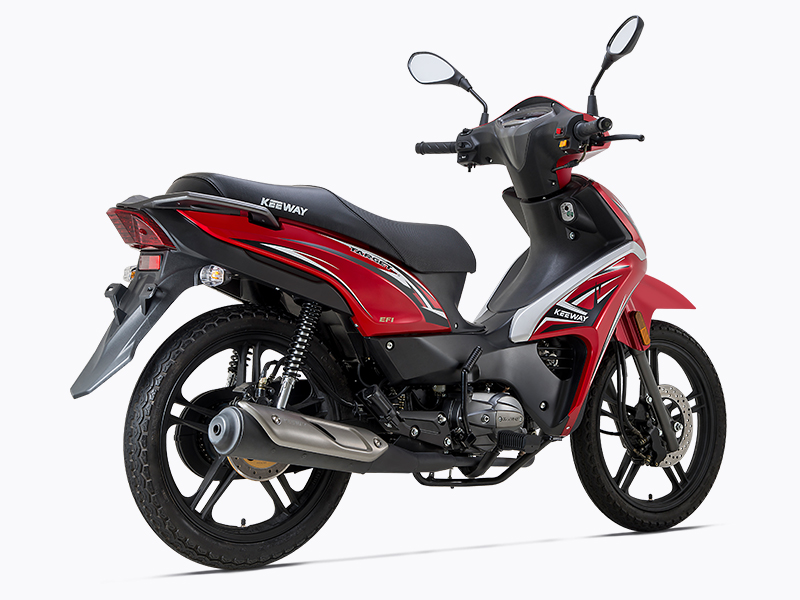 Powered by an air-cooled, single-cylinder 125cc four-stroke engine with tons of reliability and smooth power delivery, the Target 125 can zip around town all day long, give you tremendous fuel efficiency, and still run nearly 100 kph when you need to get somewhere fast. 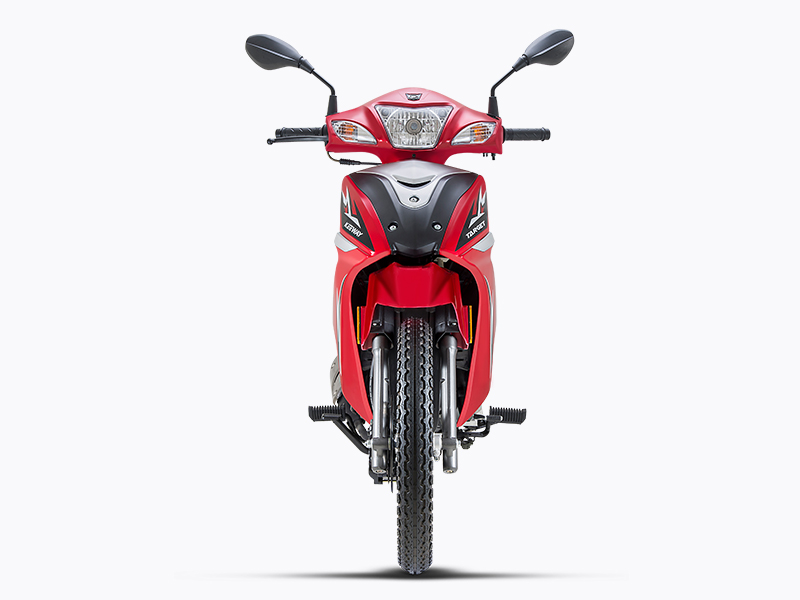 And with its 17-inch wheels, sportbike-like tires, real-motorcycle suspension, and disc front brake, it does so amazingly well. 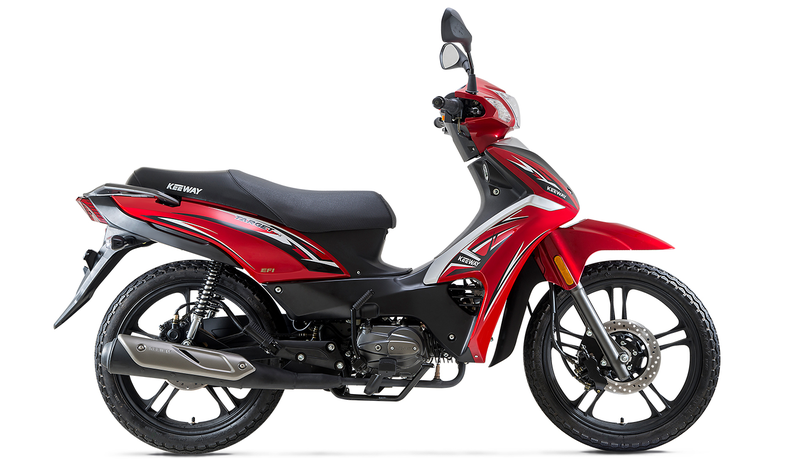 Add its beautifully sporty bodywork and big-bike stance to the mix, and you will look like a pro all day long on the Target 125. 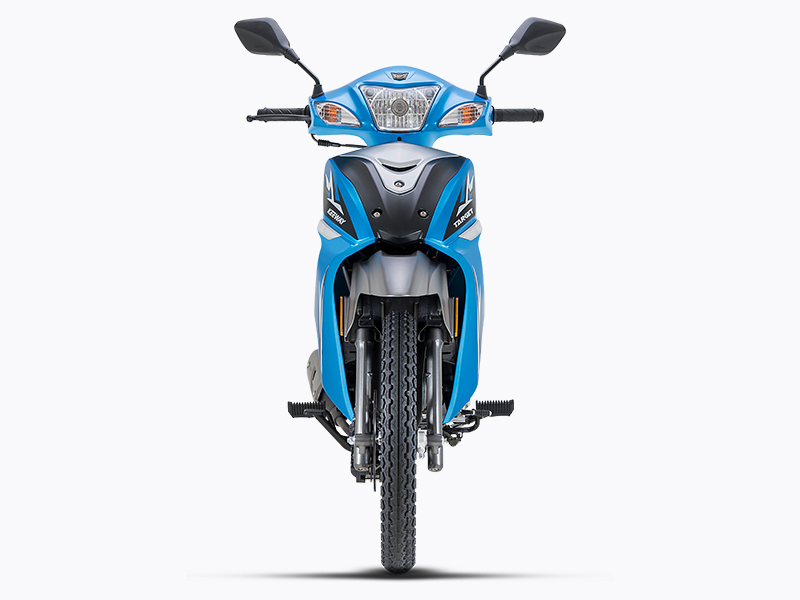 Providing a smooth ride on rougher roads are twin shocks and a telescopic fork with 56mm and 85mm of wheel travel, respectively. 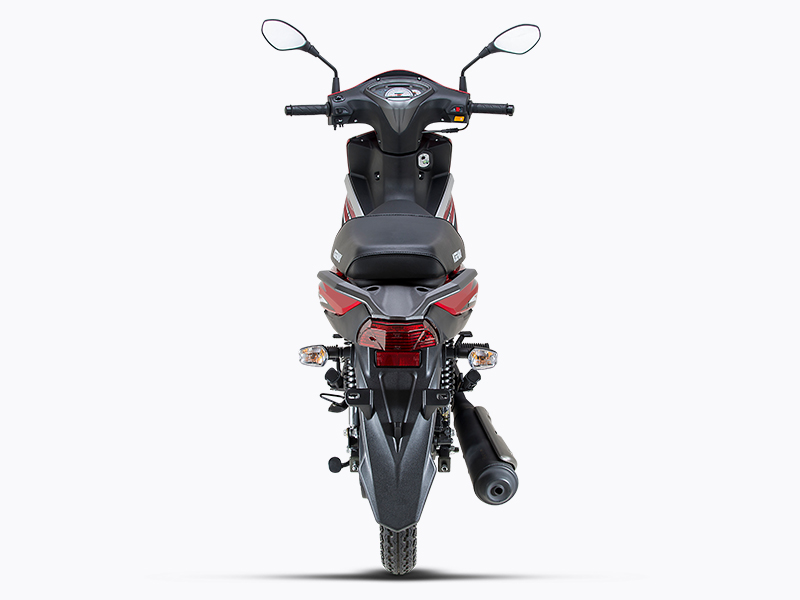 Again, just like a full-sized motorcycle. 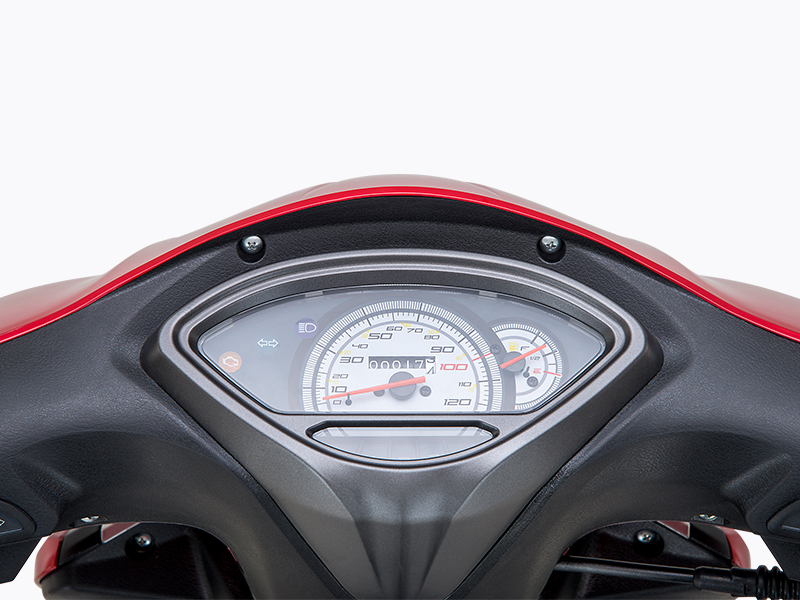 Target 125 riders can keep up to date on speed, engine temperature and a variety of other vital functions via an easy-to-read multi-function instrument panel. 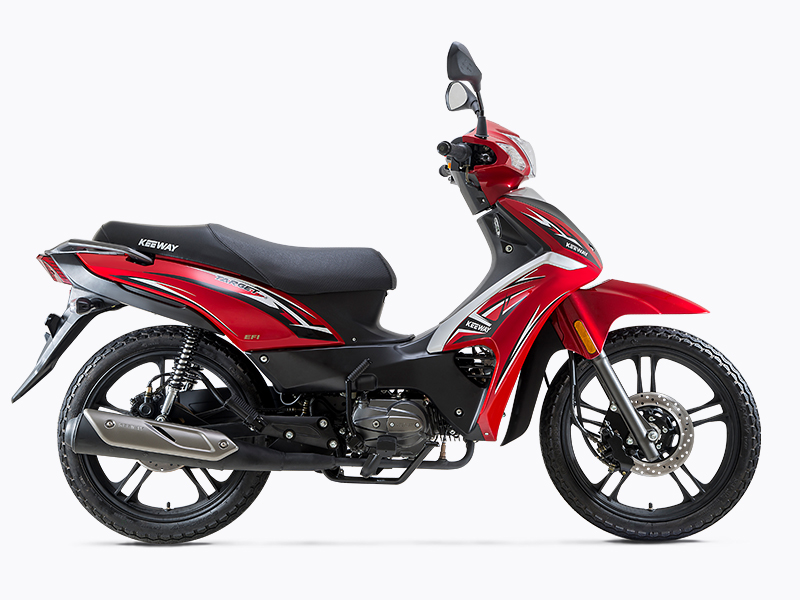 Helping make the Target 125 look like a full-sized streetbike are its cast-alloy 17-inch wheels, which hold grippy rubber and, up front, a single disc brake for quick stops.